In less than three years, Tanzania-based cargo carrier MA Cargo achieved a long list of results using MiX Fleet Manager. With improvements including a 40% reduction in accidents in just one year, it comes as no surprise that MA Cargo plans to continue using MiX Fleet Manager to keep their fleet of 141 vehicles operating safely and efficiently. Established in 2004, MA Cargo is a Tanzania-based transporter of general cargo, goods, oil and petroleum products within Tanzania as well as to neighboring countries like Rwanda, Burundi and Uganda. When the company approached MiX Telematics channel partner Superdoll in Dar es Salaam, Tanzania, they were experiencing a number of challenges, including high fuel and maintenance costs, and poor driver behavior. With high instances of night-time driving, there was also a concern around the safety of cargo. Once installation of MiX Fleet Manager was complete, and MA Cargo’s staff were trained, the company was slowly able to address each of the challenges they had been experiencing. 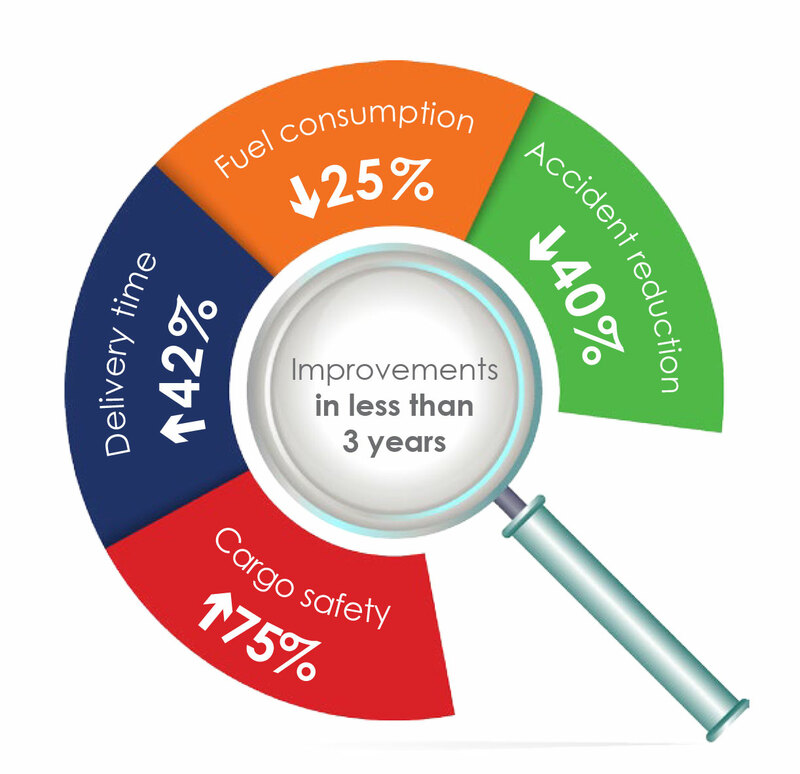 Thanks to the live and historical tracking features, event reports and fuel consumption reports, MA Cargo achieved a long list of impressive results including a 25% reduction in fuel consumption and a 75% improvement in cargo safety. Preventing nigh-time driving helped to reduce cargo safety incidents from four incidents a year to only one in 2015. That’s a 75% improvement!